Drivers using the Marvin Road overpass can expect delays as the overpass is reduced to one through lane in each direction. Southbound I-5 drivers exiting onto Marvin Road will not be able to turn left onto Marvin Road. 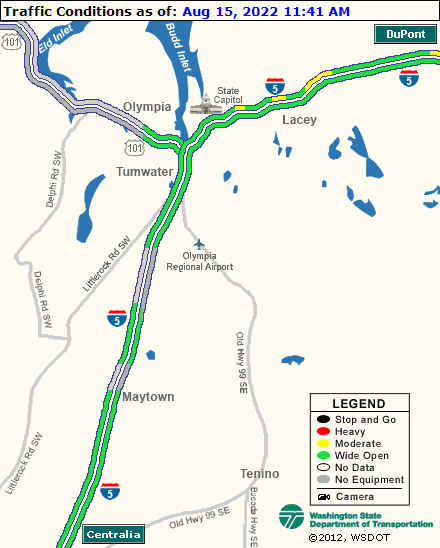 Those drivers will follow a signed detour via Hogum Bay Road or use Nisqually exit 114. Sign up for email updates for advance notification of possible temporary changes to your Marvin Road commute.